As well as a link to our fantastic giveaway to win tickets to see the Tom Gates show this post also contains some affiliate links. These links to products available on Amazon cost you nothing however if you do buy anything after clicking link Amazon will pay me a small amount - so thank you in advance if you do! Are you a Tom Gates fan? Tom Gates is a schoolboy who loves doodling and carrying out fun experiments. In a series of award-winning books written by Liz Pinchon and aimed primarily at tweens - children aged 8 - 12, Tom suffers, jokes and doodles his way through lots of hilarious situations. But not only can you now read about him, you can also see the live show at Tyne Theatre and Opera House later this month and we have a free family ticket to give away over on our Facebook page. This family show by hugely popular author and illustrator, Liz Pichon, - best known for her award-winning series Tom Gates, is a hugely fun-packed & INTERACTIVE monster drawing event with live music! Bring a pencil and paper, learn to doodle just like Tom and hear DUDE3 Tom’s FAVOURITE band in the whole WIDE world play some excellent tunes. There are stories and music and a chance to meet Liz and the band after the show too. Similar in style to the Diary of a Wimpy Kid books, Tom Gates is a school kid who hates his teacher, one of the boys at his school and his older sister who is always being mean to him. The books are written from Tom's point of view and tells us all about his life at school. The way the book is printed makes it look like it is handwritten, with some of the words illustrated and some words written in different types of text. The Tom Gates books are published in 36 different countries worldwide. They have also won fantastic awards too, including The Roald Dahl Funny Prize 2011, The Waterstones Children’s Book Prize 2012, The Red House Book Award 2012 and The Blue Peter Book Award 2013. 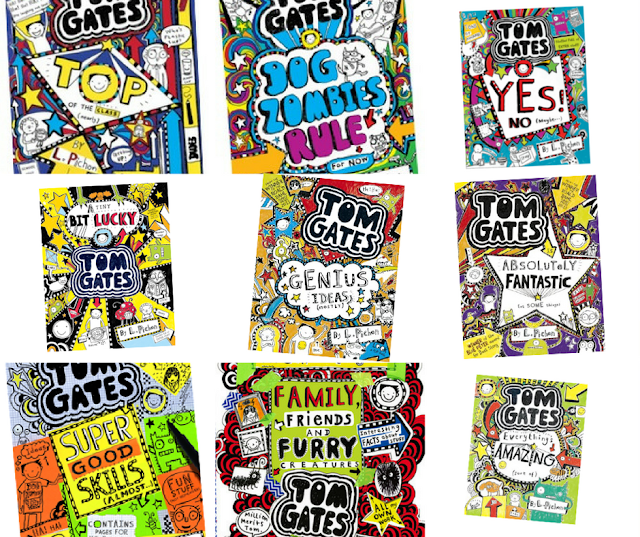 The Brilliant World of Tom Gates, Pichon’s first Tom Gates book, was published by Scholastic in 2011 and has been followed by 11 others, with more than 2.6 million copies sold in the UK. The thirteenth book in the series, Tom Gates: Epic Adventure (kind of), is released tomorrow you can buy it from Amazon here. 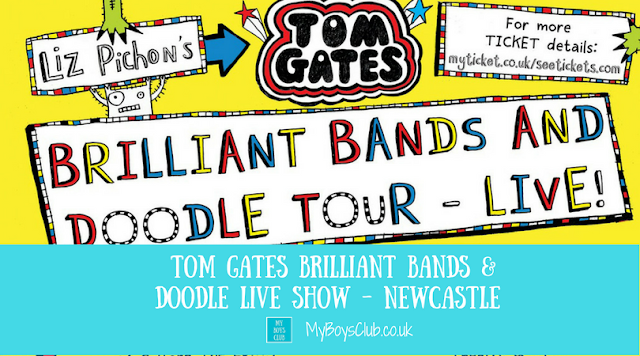 Join Liz as she presents TOM GATES BRILLIANT BANDS AND DOODLE LIVE TOUR, a hugely fun-packed & INTERACTIVE monster drawing event with live music! Bring a pencil and paper, learn to doodle just like Tom and hear DUDE3 Tom’s FAVOURITE band in the whole WIDE world play some excellent tunes. There’s stories and music and a chance to meet Liz and the band after the show. Tickets are priced £16.50, £56 family ticket (Must be booked in advance, limited availability. 2 adults, 2 children or 1 adult, 3 children) or head over to our Facebook Page to enter our competition to win a FREE family ticket! 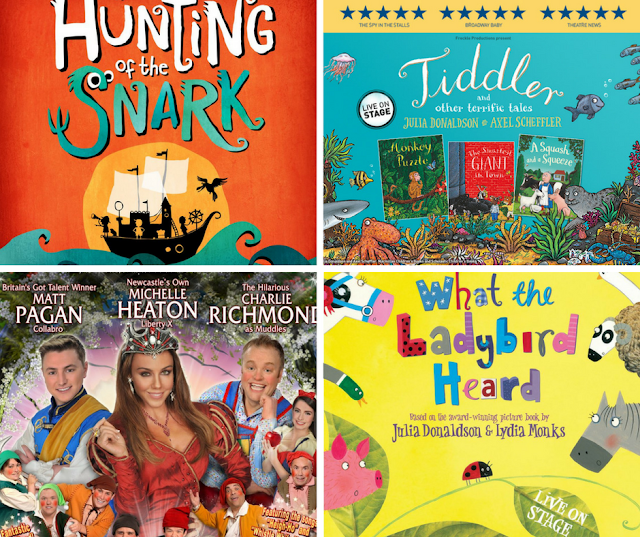 What the Ladybird Heard from Fri 8 - Sun 10 June 2018 1.30pm & 4.30pm Fri & Sat, 10.30am & 1.30pm Sun. Two crafty robbers, one tiny ladybird, and a whole farmyard of fun! Hefty Hugh and Lanky Len have a cunning plan to steal the farmer’s fine prize cow. But they reckon without the tiniest, quietest creature of all: The Ladybird has a plan of her own! Tickets are priced £13. Did you know that the Tyne Theatre and Opera House is a Grade I listed building with key elements of outstanding national importance including the lavish auditorium and wooden stage machinery? 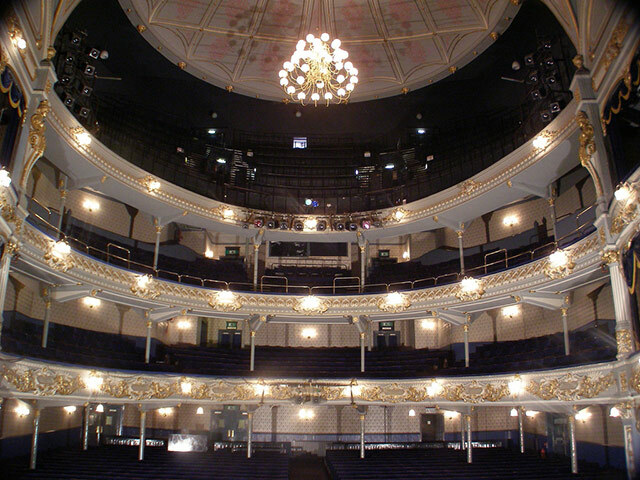 One of only about twenty-three Grade One listed theatres in Great Britain, the theatre is also one of only ten that date to the Victorian period. The north part of the building is even located within the boundary of the Hadrian’s Wall World Heritage Site. Don’t forget to enter our competition over on Facebook to win a FREE family ticket! Disclosure: My Boys Club will receive complimentary tickets to the show at Tyne Theatre & Opera House, from the theatre who are also providing the competition prize.